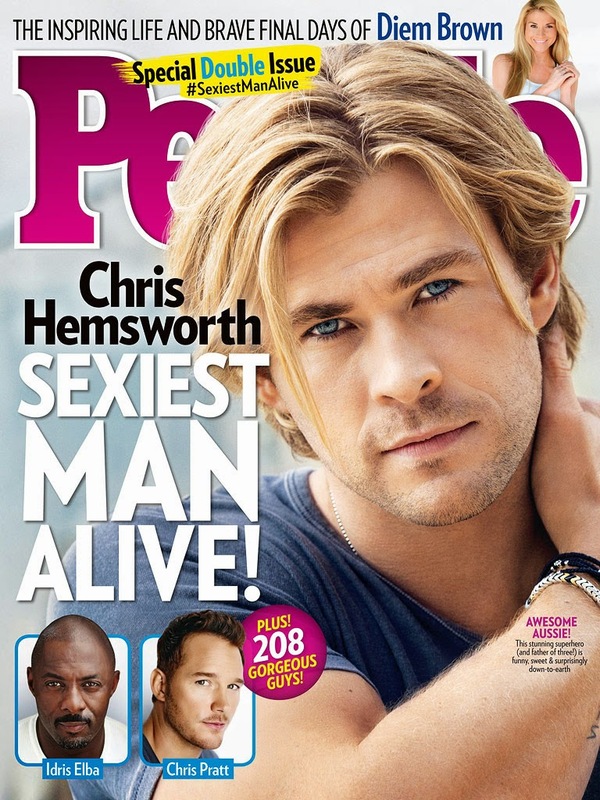 Australian actor chris hemsworth has been named the sexiest man alive by people magazine. The actor, 31, thought it was "pretty funny" when he first heard the news as did his wife, Spanish model Elsa Pataky, 38, whom he wed in 2010. "I think you've bought me a couple of weeks of bragging rights around the house," he tells PEOPLE in this week's cover story. "I can just say to her, 'Now remember, this is what the people think, so I don't need to do the dishes anymore, I don't need to change nappies. I'm above that. I've made it now.' "